A predominantly brushed finish, featuring a raised centre and a traditional Celtic patterns laser engraved on the band 8mm in width. 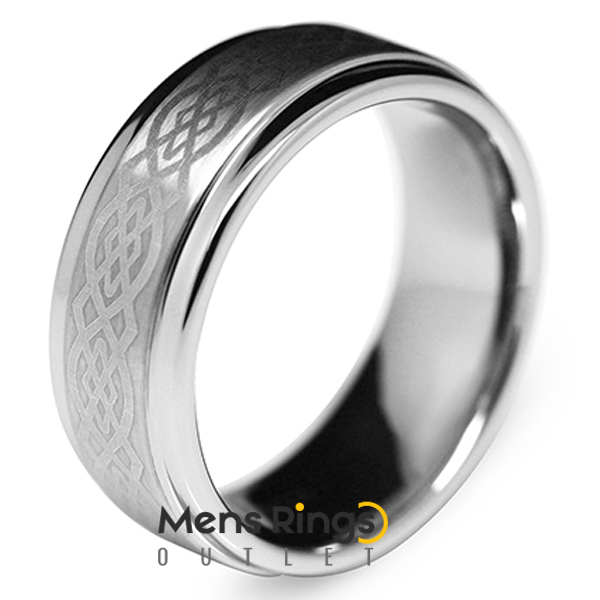 Gaelic is one of our personal favourites and is one of the most loved of tungsten rings. It is hugely popular as both a right-hand ring as well as for wedding bands. 8mm in width, it is predominantly brushed, featuring a raised centre and a traditional Celtic patterns laser engraved on the band. Opt for the the Gaelic, simply as a style statement, or if you wish to connect to, or simply if you like the idea of a Celtic pattern.